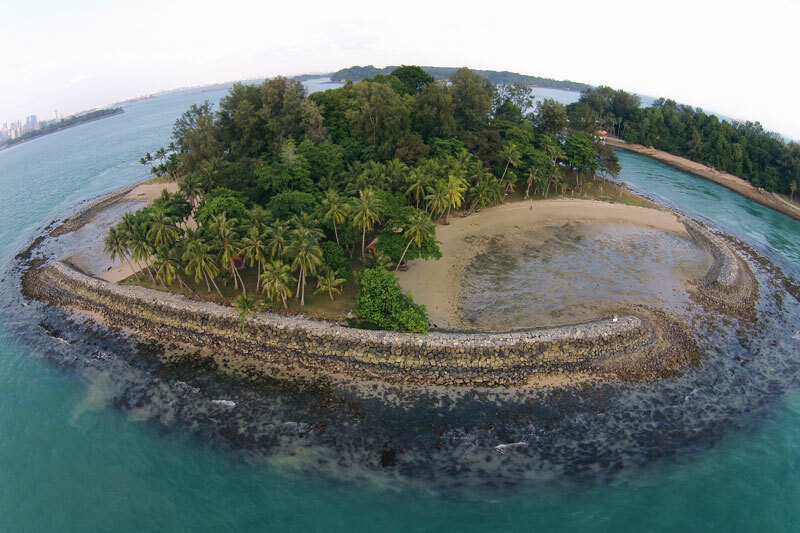 There are two Sister's Islands in Singapore - Big Sister's and Little Sister's. 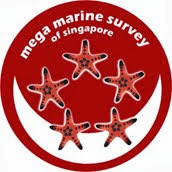 These two islands are now part of the National Parks Board's (Singapore) Marine Park plan, the Sister's Islands Marine Park. 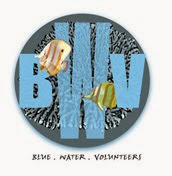 At the moment, visitors are allowed on these islands till further notice. 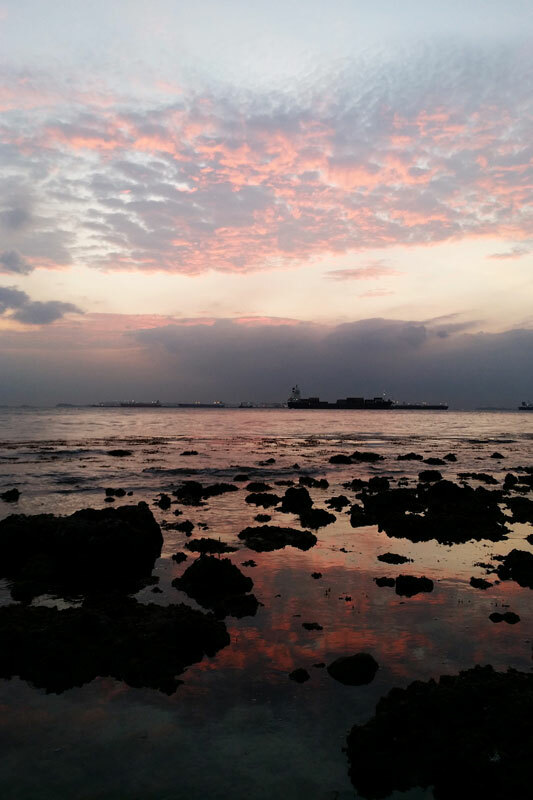 On the second day of the lunar new year, the intertidal team visited the Little Sister's Island. Our last visit was actually three years ago on June 2012. I remembered that was my second trip with the intertidal team and my first visit to Little Sister's Island. You can read about my adventure here. 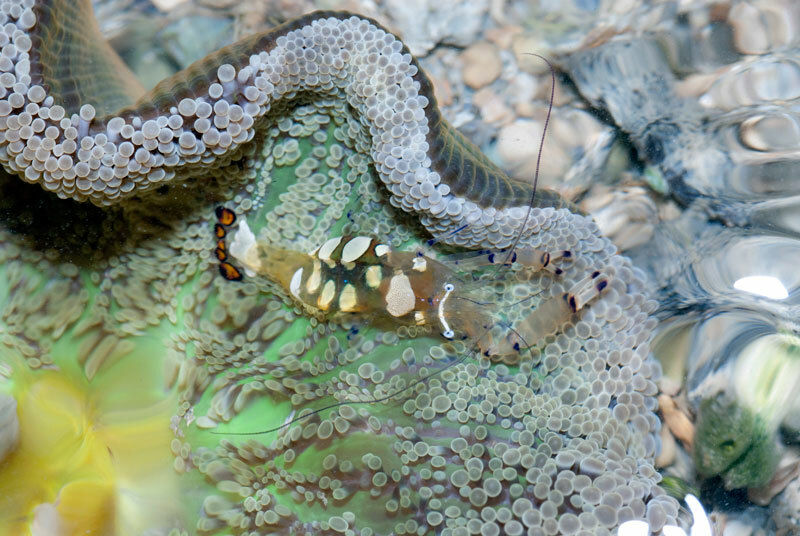 In today's trip, I saw many shrimp and shrimp-like animals. 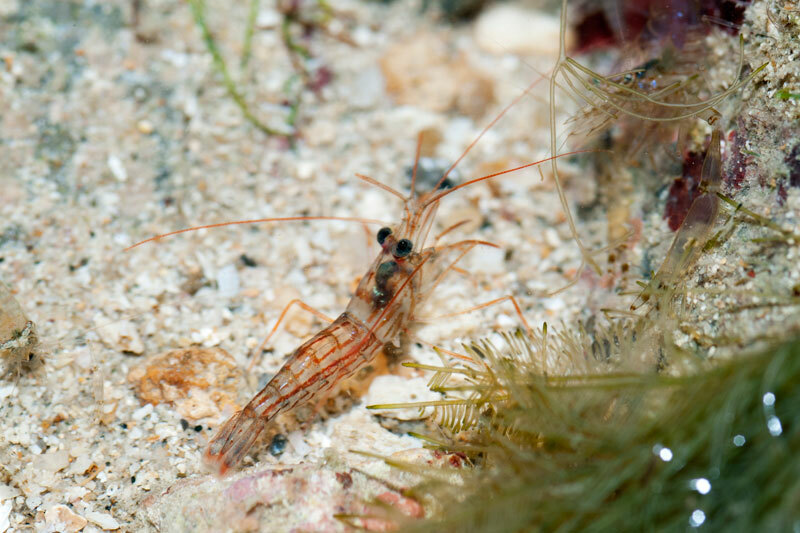 This shrimp-like animals was the most interesting find for this trip. I am not sure what it is. 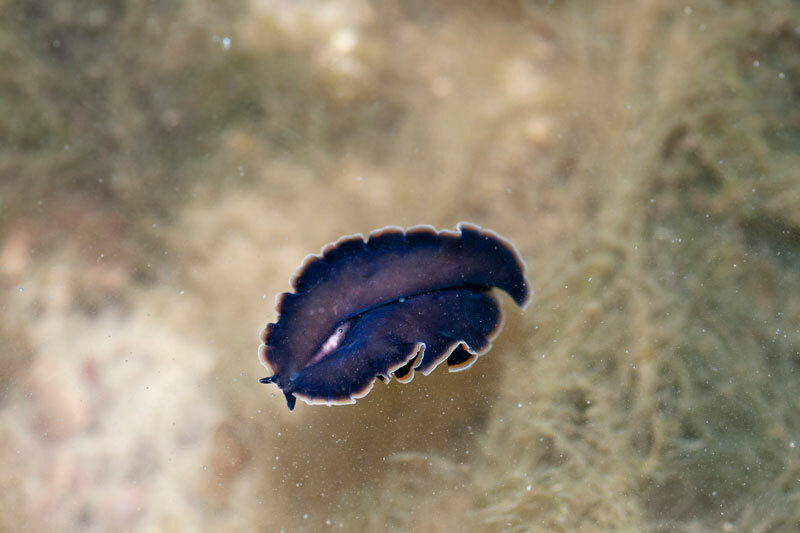 In fact, I found plenty of them in a shallow pool near the sea wall. 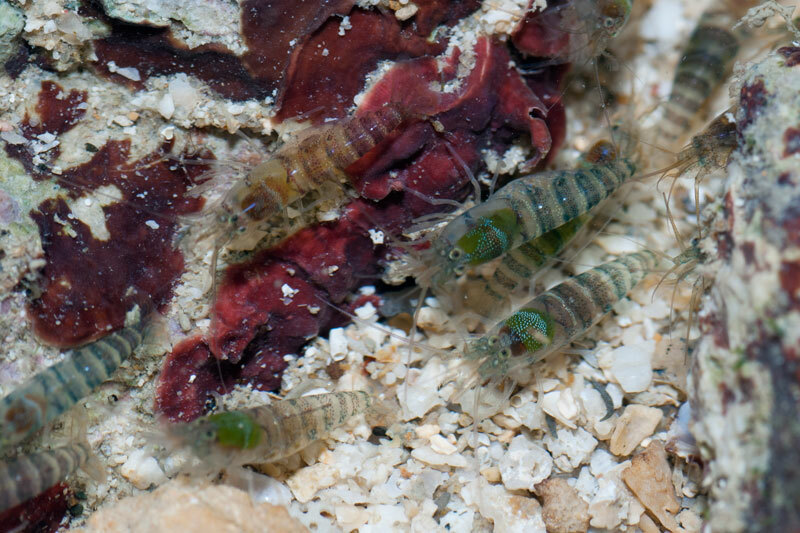 Initially, I thought they were juvenile snapping shrimps as I did hear some snapping going on when I was observing them. 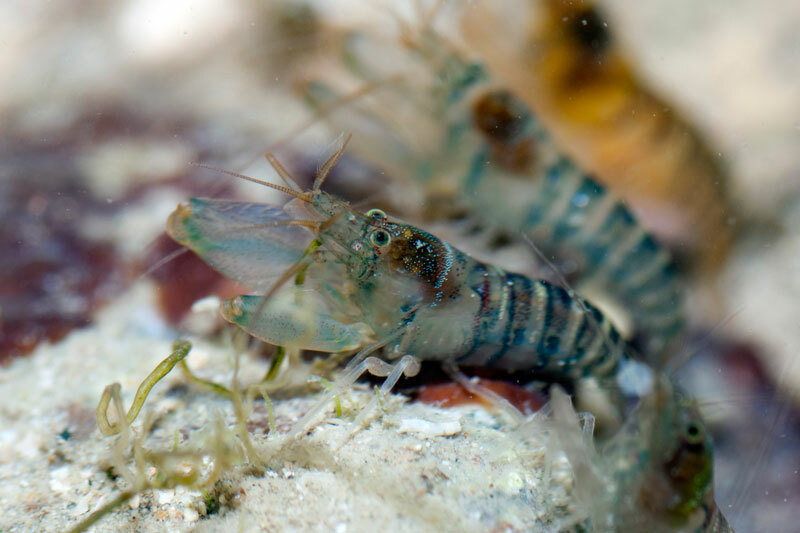 However, after reviewing my photos, the first image seems to reveal that this shrimp-like animal has some kind of pincer similar to mantis shrimp. 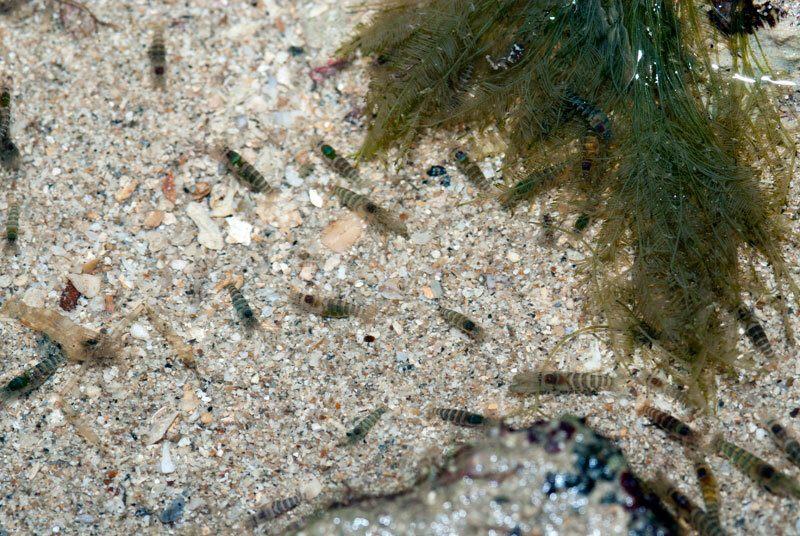 Apart from these unknown "shrimps", there were other shrimps hanging out in the shallow pool. 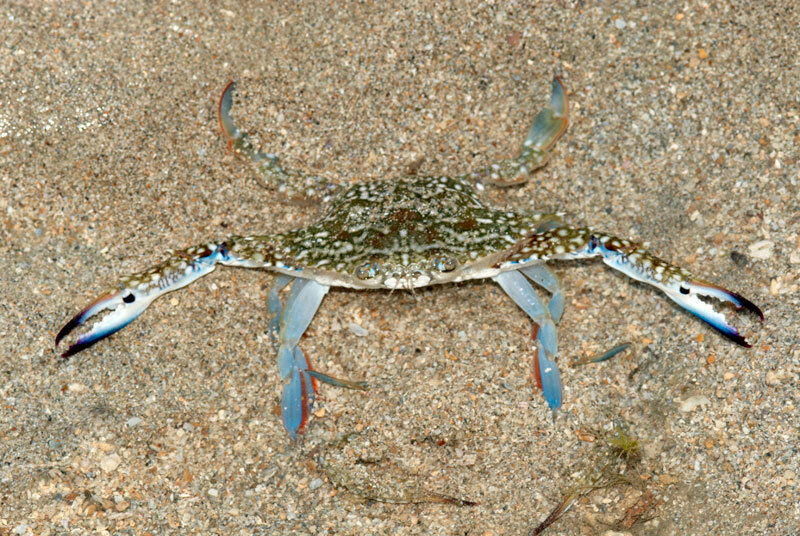 Some of the are quite difficult to spot as they are clear and blend in very well with the sandy environment. 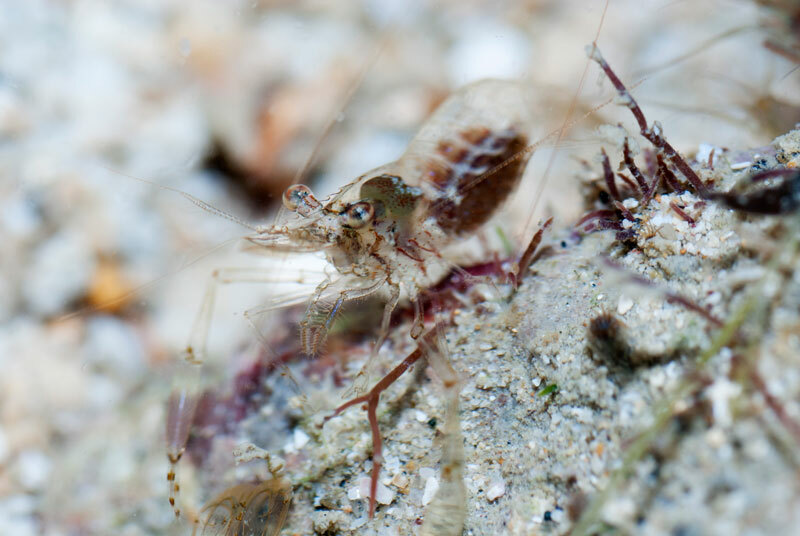 Another type of shrimp that I saw was the five-spot anemone shrimp (Periclimenes brevicarpalis), commonly seen on the haddon's carpet anemone (Stichodactyla haddoni). The ones I saw on this trip were females. Well, the Little Sister's Island is all about shrimps. 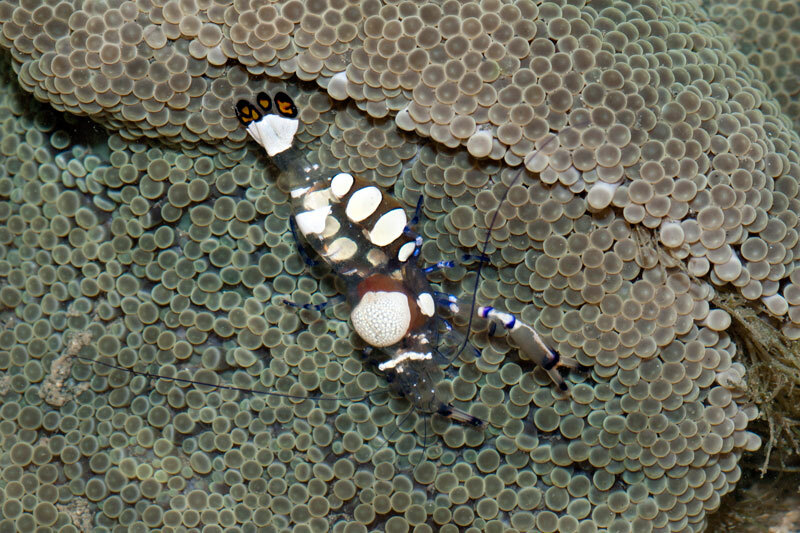 There are other interesting marine animals to look at too, like this flower crab (Portunus pelagicus) who does look too happy when I got too near it. 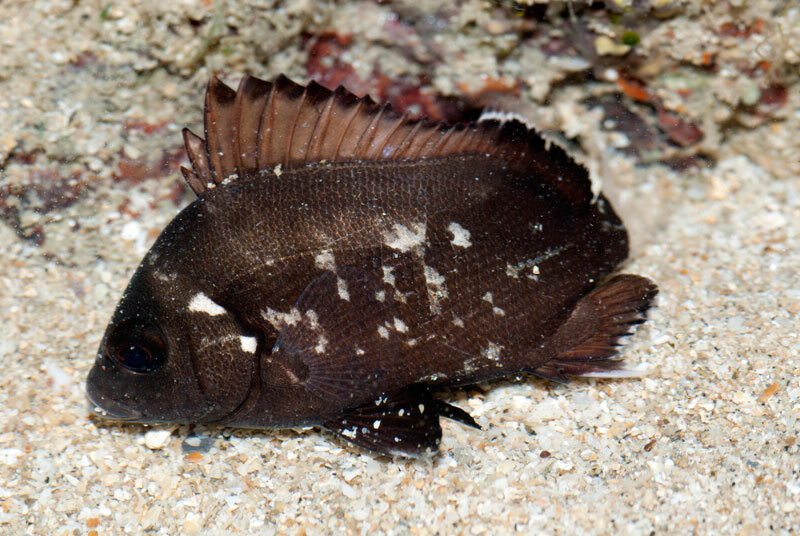 I also came across two brown sweetlips (Plectorhinchus gibbosus) of different sizes. These sweetlips are winners at staying still and they looked like a dead leave against the rocks. As the tide goes out, many of the fish were frantically swimming about as I wade through the shin deep water. 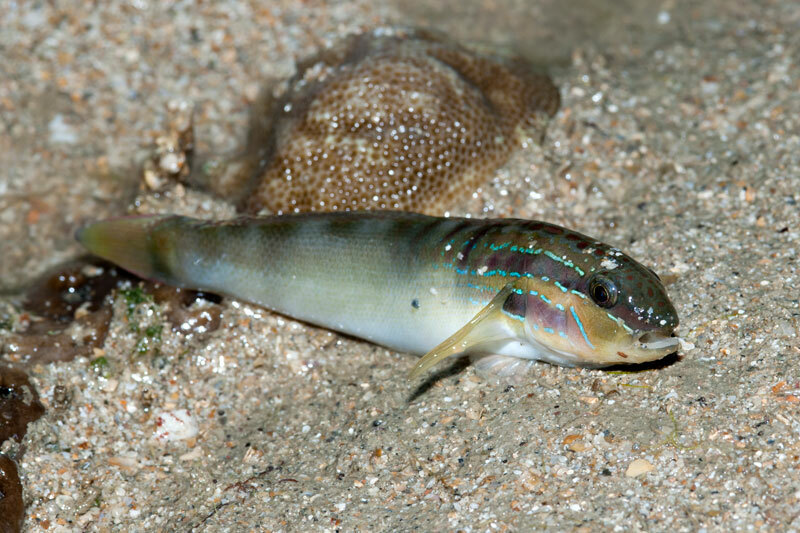 One silly head-stripe lagoon-goby (Amblygobius stethophthalmus) leaped in the wrong direction and landed itself on a dry sand mount. Fortunately, it flicked itself into a shallow pool shortly after I took this photo. 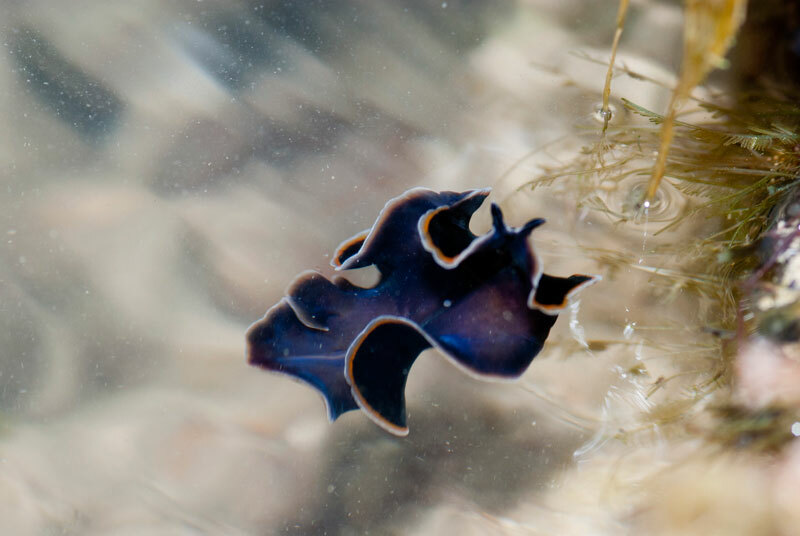 Nearby, a cool dawn flatworm (Pseudobiceros uniarborensis) was swimming near the water surface. 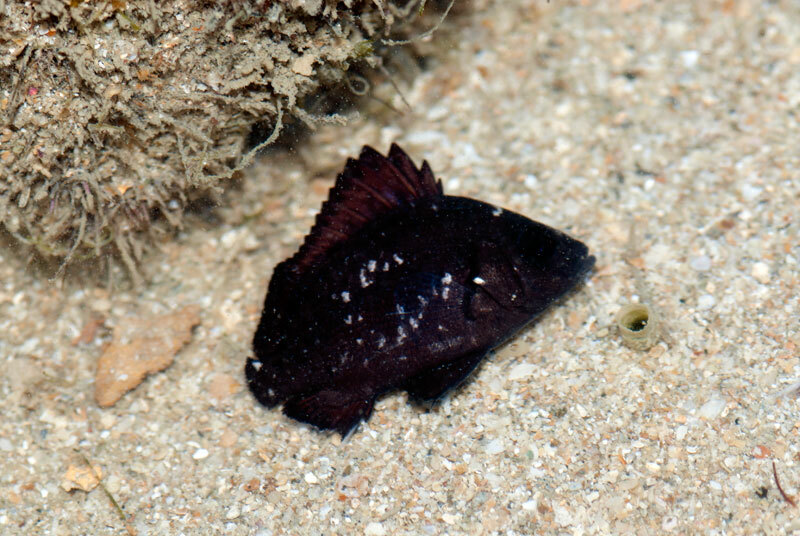 Sometimes it takes a break from swimming and you can see its underside. 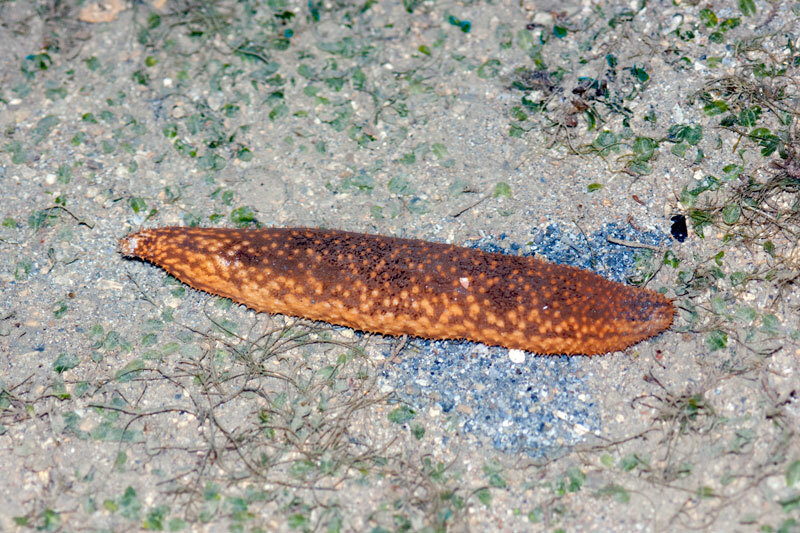 Somewhere in the middle of the lagoon, Kok Sheng found a remarkable sea cucumber (Holothuria notabilis). 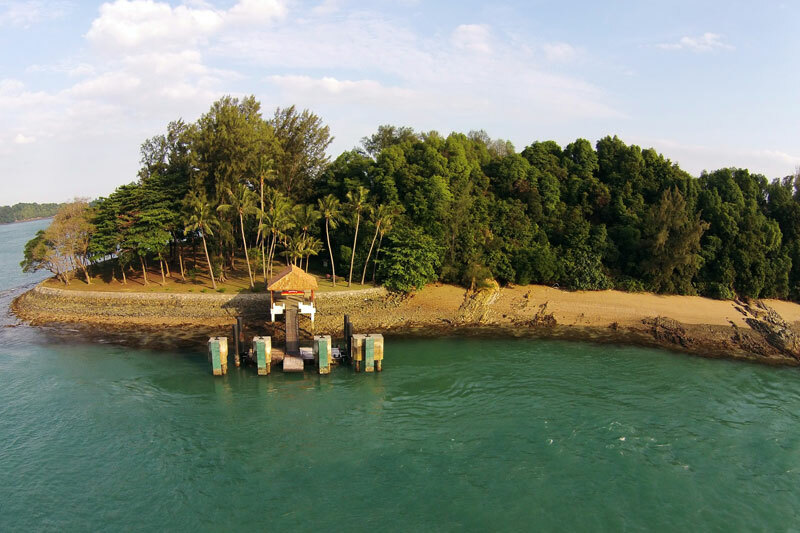 Even though Little Sister's Island is smaller as compared to Big Sister's Island, I did not have much time exploring different part of this island as I was doing some aerial footage of this island. 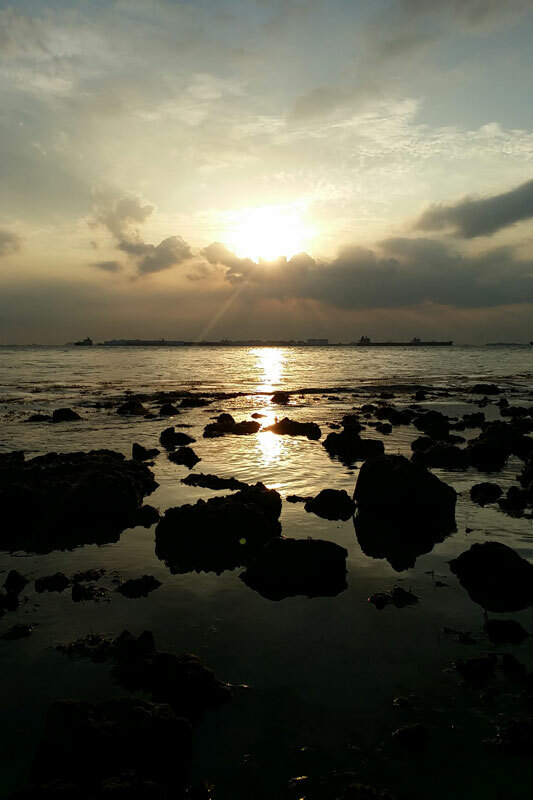 As the sun began to set, we had beautiful light in the sky. 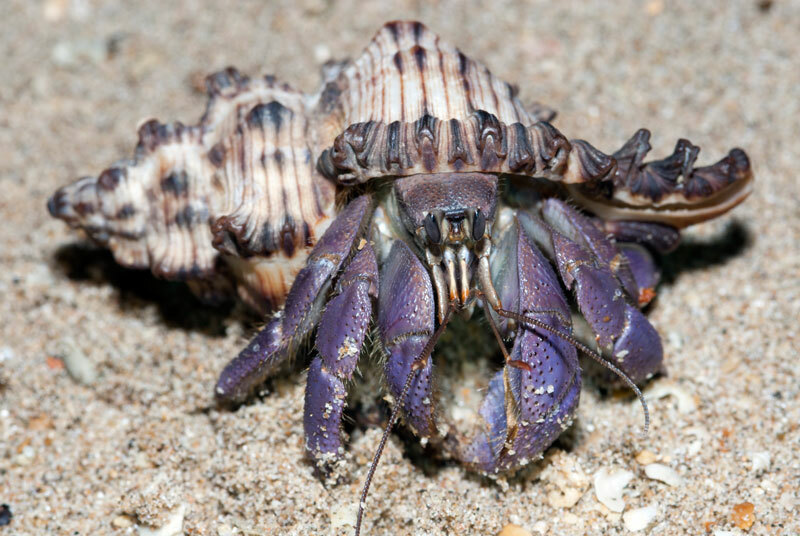 Before I leave the lagoon, I spotted a land hermit crab (Coenobita sp.) on the high shore. 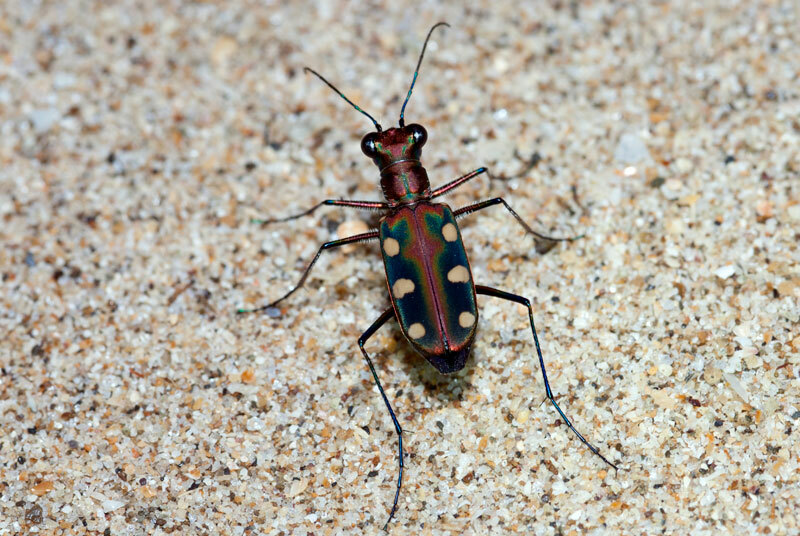 And I finally got images of the golden-spotted tiger beetle (Cicindela aurulenta). 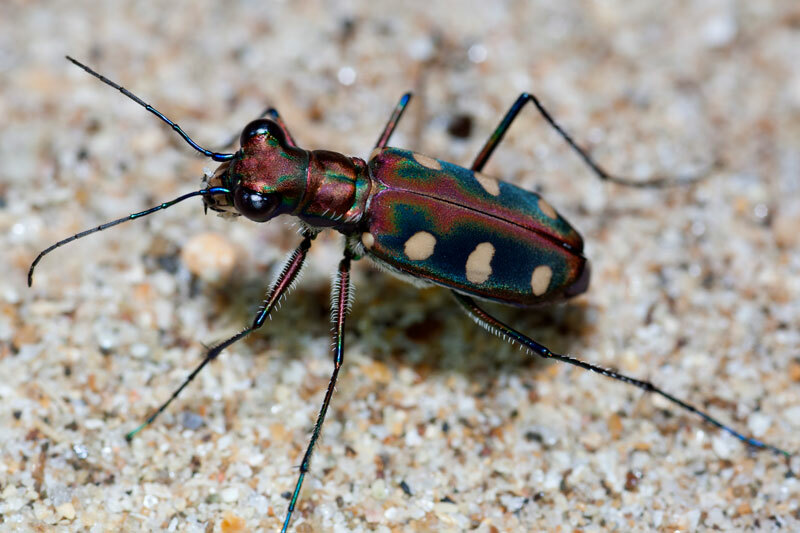 These beetles are super fast during the day and they will fly away when they sense your approach. At night, motions slows much greatly and you can take pictures of them with much ease. 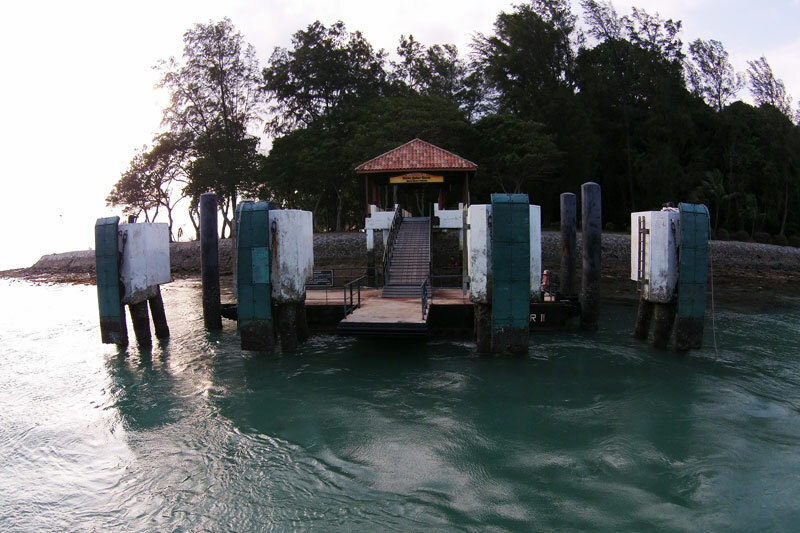 When will my next trip to Little Sister's Island be?